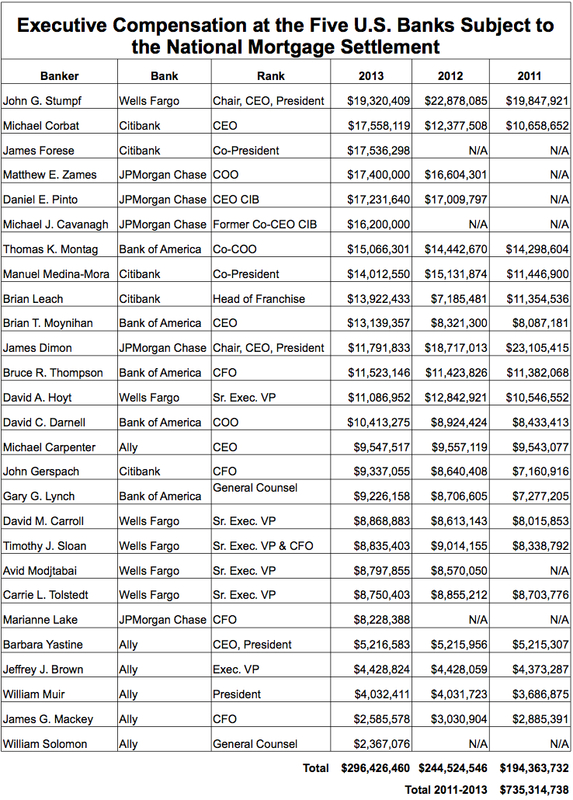 On December 19, 2013 the Consumer Financial Protection Bureau, 49 state attorneys general, and the District of Columbia reached a settlement agreement with Ocwen to resolve the company’s illegal foreclosure practices. The settlement allowed Ocwen to escape prosecution in return for a promise to cease at least 17 illegal practices it used to over-charge and mislead homeowners, to file false documents, and to wrongfully foreclose. 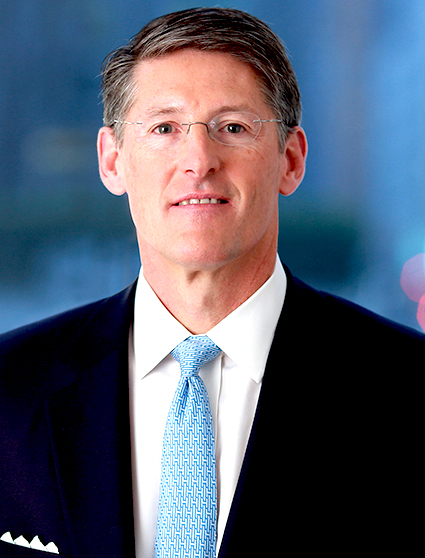 So has Ocwen lived up to its promise of change? 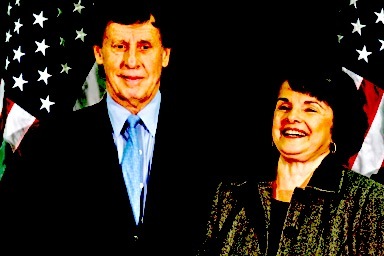 Data compiled by the CFPB shows that in the months after the settlement was announced there was actually a spike in the number of complaints against Ocwen. So far this month complaints against Ocwen are down, but overall, based on consumer complaint data, it’s hard to see how the settlement has changed Ocwen’s practices. 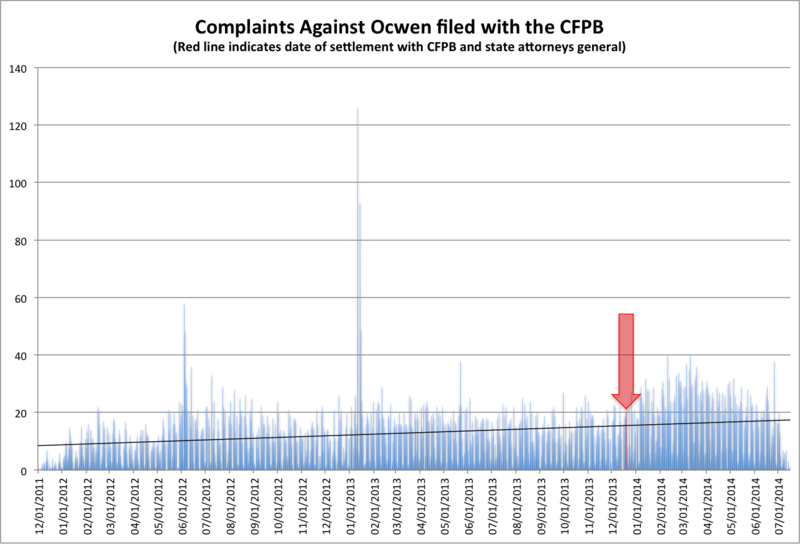 The following graph shows the number of complains received by the CFPB every day against Ocwen, starting on December 1, 2011 and ending on July 16, 2014. The red arrow points to the day that the Ocwen settlement was announced by authorities. The black trend line shows generally that complaints against Ocwen have continued to rise over time.